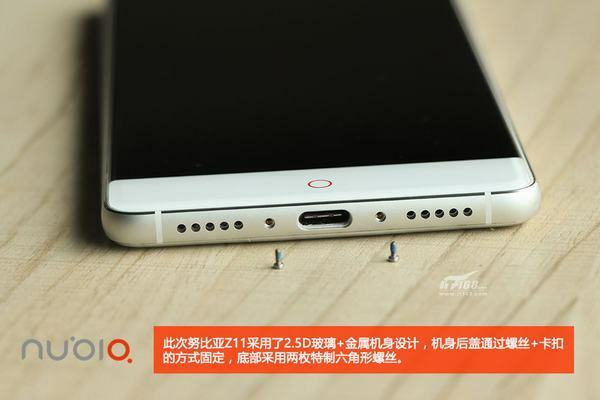 ZTE Nubia Z11 smartphone was launched in June 2016. 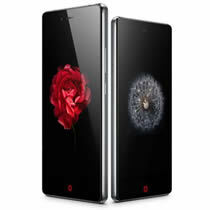 The phone comes with a 5.50-inch touch display with a resolution of 1920*1080 pixels. 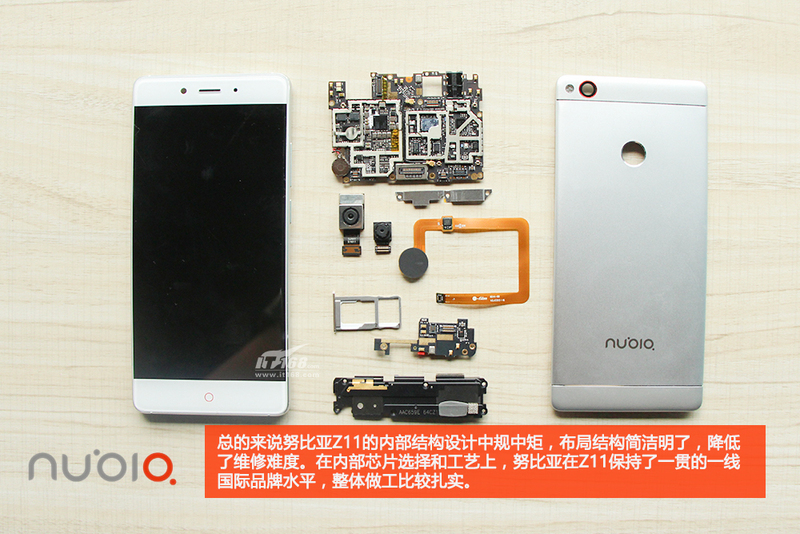 ZTE Nubia Z11 is powered by 2.15GHz quad-core Qualcomm Snapdragon 820 processor and it comes with 4GB of RAM. 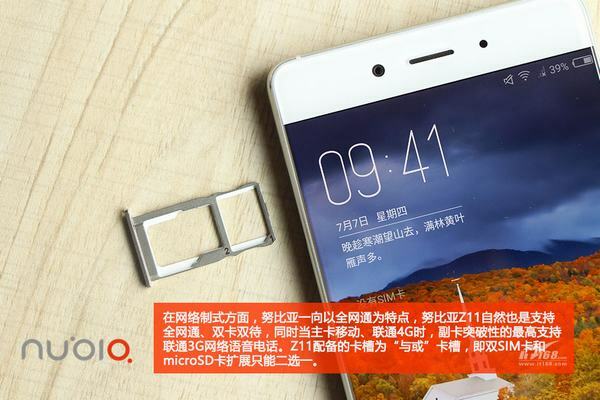 The phone packs 64GB of internal storage that can be expanded up to 200GB via a microSD card. It is packed a 16-megapixel main camera on the rear and an 8-megapixel front shooter for selfies. ZTE Nubia Z11 runs Android 6.0 and is powered by a 3000mAh battery. 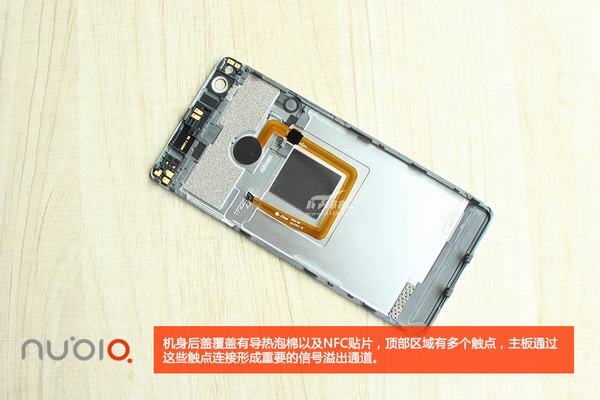 The ZTE Nubia Z11 is a dual SIM (GSM and GSM) smartphone that accepts Micro-SIM and Nano-SIM Connectivity options include Wi-Fi, GPS, Bluetooth, NFC, 3G, 4G. Sensors on the phone include the proximity sensor, ambient light sensor, accelerometer, and gyroscope. Before start the disassembly process, we need to remove the SIM card tray first. 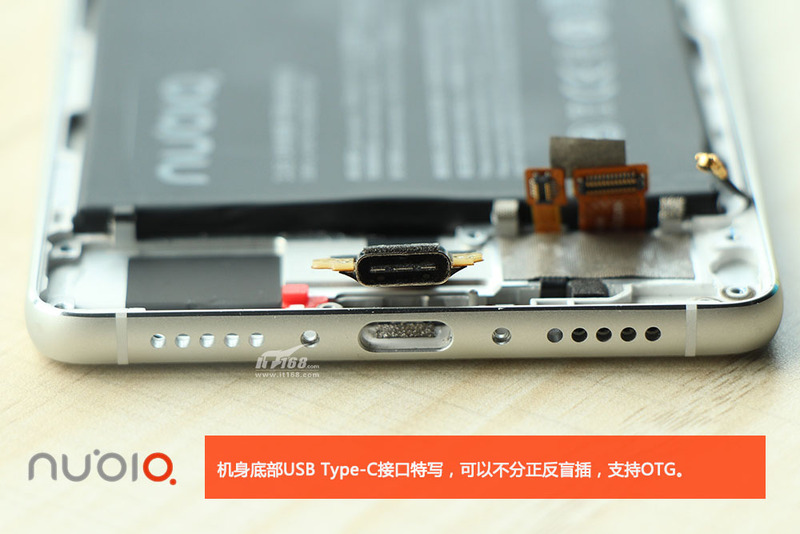 Remove two screws beside the USB Type-C port. Open the back cover with a guitar pick. 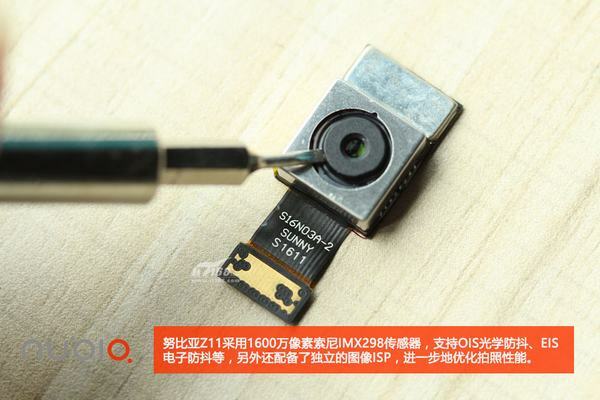 Be careful, the fingerprint sensor module still connecting to the motherboard. Remove two screws securing the metal plate. 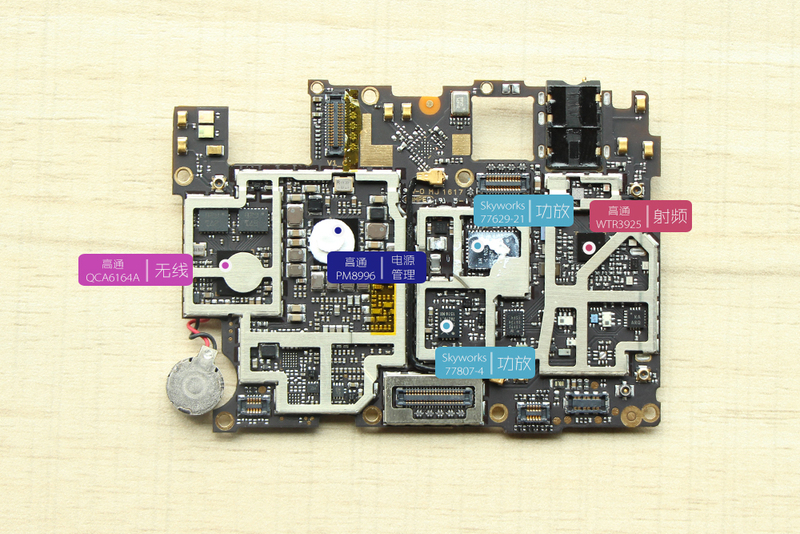 Remove the metal plate and disconnect the fingerprint sensor cable from the motherboard. 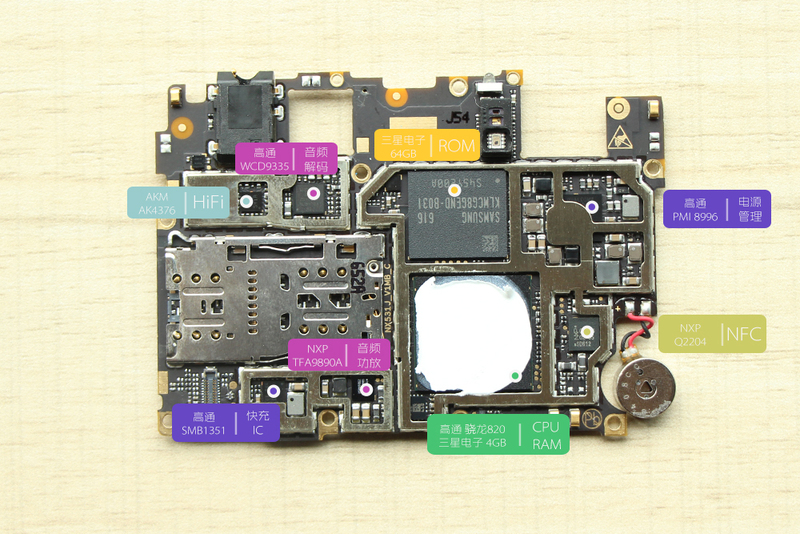 There are some thermal foam and NFC Chips. On the top of the back cover, you can find some metal contacts. 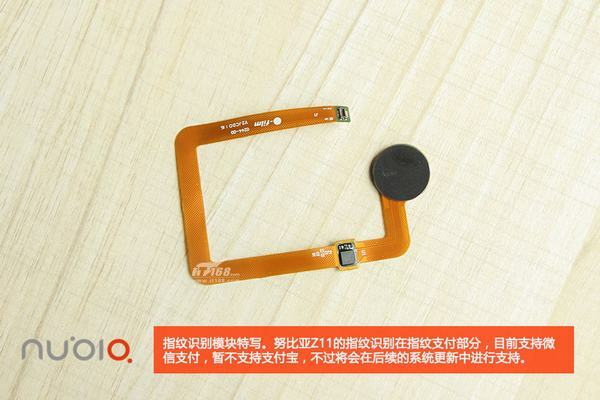 Fingerprint sensor module, it is support for WeChat pay, but not support for the Alipay. Remove all screws securing the motherboard and remove it. Here’s USB Type-C port and support OTG. 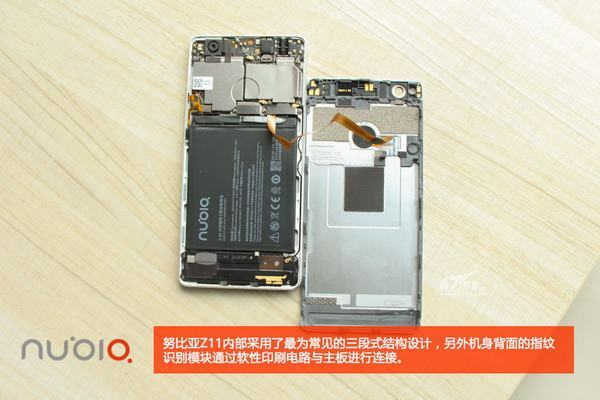 ZTE Nubia Z11 comes with a 3.84V, 3000mAh Li-polymer battery. Front camera and rear camera. 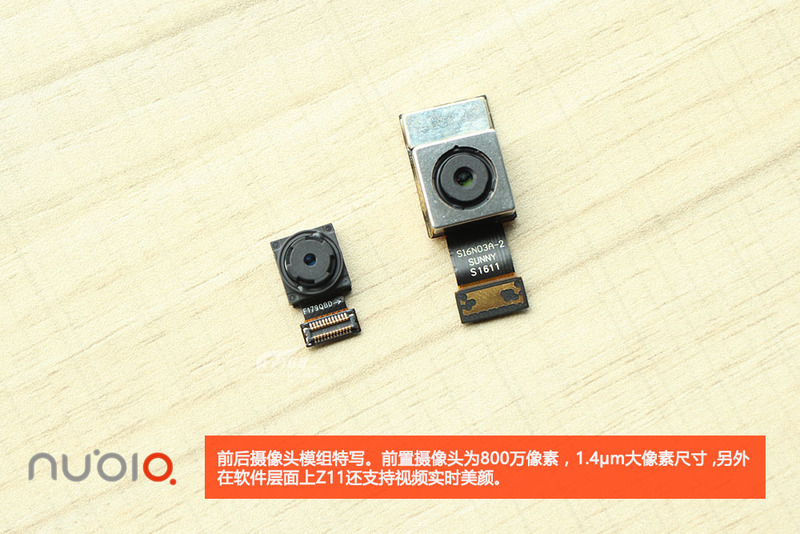 ZTE Nubia Z11 features a Sony IMX298 camera sensor. It is support for the OIS and EIS.